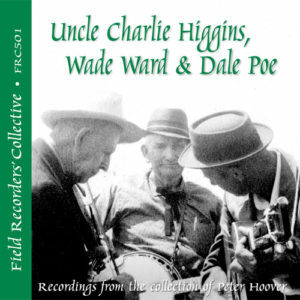 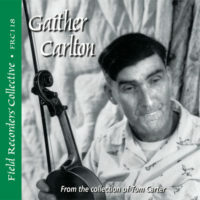 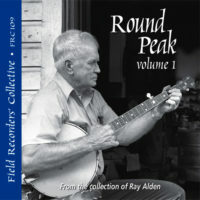 These recordings are a small sample of the bread-and-butter music-making of Charlie Higgins (fiddle and banjo), Wade Ward (banjo and fiddle), and Dale Poe (guitar), three accomplished old-time musicians from Grayson County in southwestern Virginia. 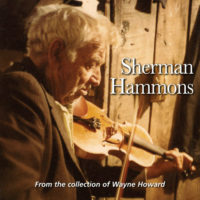 A couple of times a month for years, they would huddle together on the flat bed of a pickup truck and play locally familiar tunes to draw in customers for a country auction service. These recordings, made by Peter Hoover in Charlie and Wade’s living rooms in 1959, document the facility and ease, and broad scope, that they brought to their repertoire.